Local home improvement company, MPN Windows has once again been named ‘Best in Wales’ for customer satisfaction, meaning the family-run company has now collected this award an impressive four times! MPN Windows is a family business that recently celebrated their 20th Anniversary in business and this isn’t the only award they’ve won! MPN’s trophy comes from the independent window installers’ organisation Network VEKA, a unique, sectoral standards organisation that only accepts the very best, most professional window and door companies, and then makes sure they stay the best. All prospective members undergo rigorous vetting before being accepted and must agree to regular audits and training. In this way, Network VEKA can be so confident in the quality of its members’ work that every one is able to offer the organisation’s ten year insurance-backed guarantee. The results are calculated from the customer satisfaction feedback of nearly 16,000 households across Britain and Ireland: every customer of every member company for the whole year. 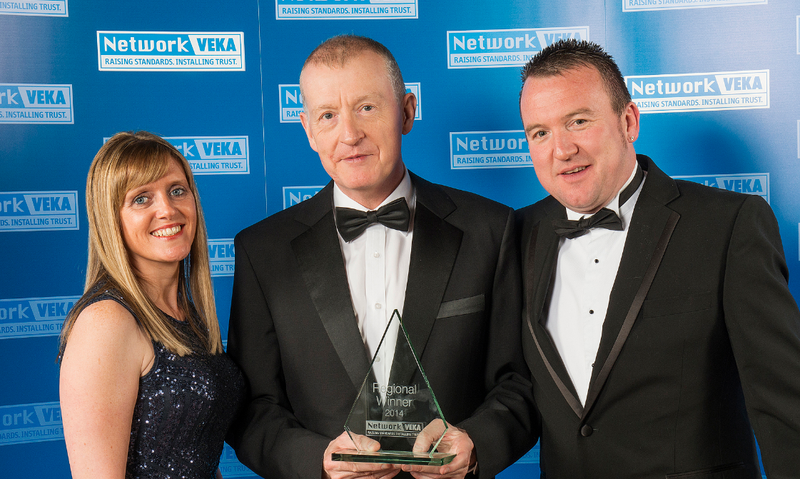 The trophy was presented at Network VEKA’s AGM in Stratford-upon-Avon, by the organisation’s Brand Ambassador Steve Davis. Pictured: Melanie and Paul Webster with Steve Davis.